Michael Hayden, lead choral instructor and head of the Music Department at Mira Costa High School, was recently named a California Teacher of the Year. 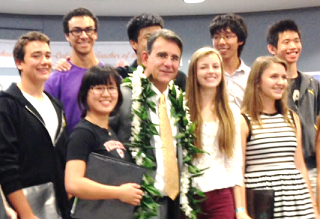 Only five teachers among California’s 380,000-plus teachers are awarded this special honor. Read more about this significant achievement and Hayden’s journey here. 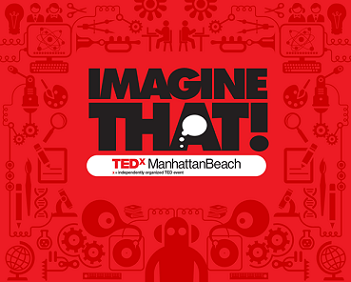 This Saturday, November 16th, MBMS will transform into the TEDxManhattanBeach’s stage for the fourth annual day-long conference. This year’s event focuses on creativity – Imagine That! -- and will again feature an impressive group of speakers. Unfortunately, if you don’t have a ticket, you’re out of luck. This years’ event, co-sponsored by MBEF, City of Manhattan Beach, and MBUSD, is sold out. The good news is that eNews will let you know when the videos are ready. Read more about the event here. 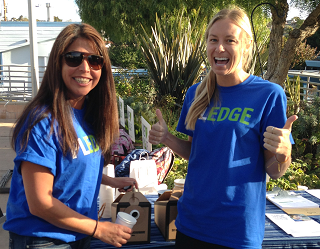 This year’s Pledge Day was another great success, bringing our community together to focus on everything your donations do for our schools. Parents donated over $600,000, putting us closer to our Annual Appeal goal. Each school hosted coffee from MBEF Business Sponsor, Two Guns Espresso. Smiling teams of volunteers answered questions and distributed the new “We Love MBEF” signs now seen around town. If you haven’t donated, please do so here. And thank you to our donors, with a special recognition to those who go above and beyond with gifts of $5,000 or more. 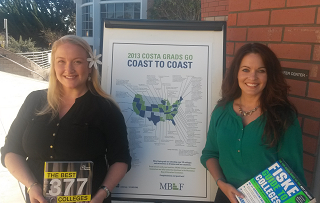 MBEF eNews recently caught up with our two new College and Career Center counselors, Kristi Branim and Megen Anspach. Read about what Costa offers our students, their tips for parents on college choices and their favorite college search resources here. What else do your gifts fund? Exlpore our grants here.